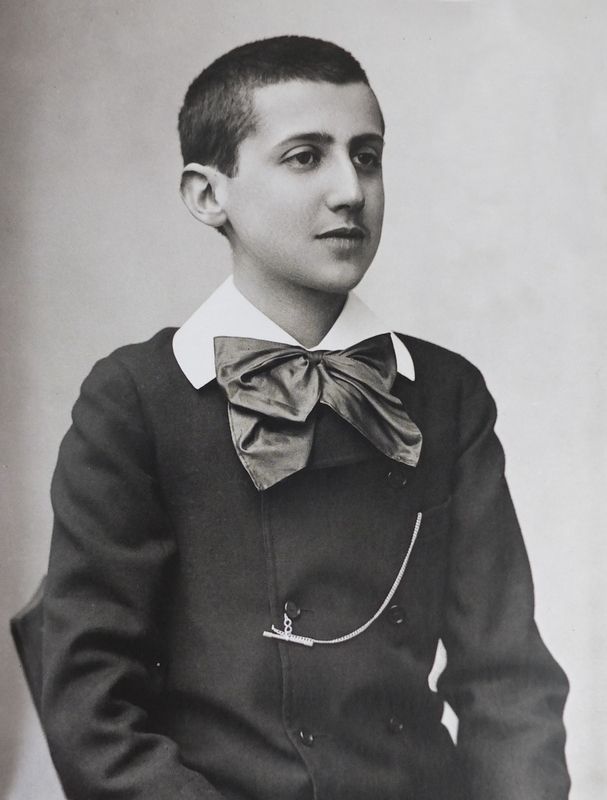 Photograph of Proust as a youth by Paul Nadar, 1887. Marcel Proust was born on July 10, 1871 in the Paris suburb of Auteuil. His father, Dr. Adrien Proust, was one of France's most distinguished scientists. His mother, Jeanne Weil, was a well-educated woman who loved the great classic writers of the 17th century, especially Molière and Racine. Marcel's only sibling, Robert, was born in 1873. The hypersensitive Marcel suffered all his life from a number of ailments, especially asthma. Although he earned university degrees in philosophy and law, he always knew that he wanted to be a writer. In 1910, he had his bedroom lined with cork to block out the deafening noise of daytime Paris because he slept during the day and wrote through the night, after returning home from some of Paris's most exclusive salons. He was known as the city's most famous recluse, he even called himself an owl because he wrote while listening to his “nocturnal Muse.” Swann’s Way, the first volume of In Search of Lost Time, was published in November 1913 and was headed for a fourth printing when World War I broke out. Proust continued to write, incorporating the unprecedented conflict into his story of contemporary French society. In 1919, Within a Budding Grove was published and won the Prix Goncourt, France's most prestigious literary prize. The final three years of his life saw the publication of The Guermantes Way and Sodom and Gomorrah. The Captive, The Fugitive, and Time Regained were published posthumously. The novel's main themes are time and memory and the power of art to withstand the destructive forces of time. This book is a magisterial account of the life and times of Marcel Proust, one of the greatest literary voices of the twentieth century. Based on a host of recently available letters, memoirs, and manuscripts, it sheds new light on Proust's character, his development as an artist, and his masterpiece In Search of Lost Time. The biography also sets Proust's life in the decadent artistic and social context of the French fin de siècle and the years leading up to World War I. The glittering Parisian world of which Proust was a part was also home to such luminaries as Anatole France, Jean Cocteau, and André Gide. William C. Carter brings this vibrant social world to life while he explores the inner world of Proust's intellectual and artistic development, as well as his most intimate personal experience. Carter examines Proust's passionate attachment to his mother, his deep love for the scenes of his youth, his flirtation with Parisian high society, his complicated sexual desires, and his irrevocable commitment to literary truth—and shows how all of these played out in the making of his great novel. In the book's abundance of detail, its wealth of anecdotes, quoted letters, and recovered conversations—many of them appearing in English for the first time—Proust comes alive as never before. Reissued with a new preface to commemorate the first publication of À la recherche du temps perdu one hundred years ago, Marcel Proust portrays in abundant detail the extraordinary life and times of one of the greatest literary voices of the twentieth century. William C. Carter, professor of French at the University of Alabama at Birmingham, is the author of The Proustian Quest and the coproducer of the documentary film Marcel Proust: A Writer's Life.